Working with an experienced alarm company broker is one of the best decisions you can make when it comes to selling your alarm business or accounts. From helping to maximize your profits to negotiating favorable terms and ensuring that your business is properly valued, an alarm company broker will help to make sure the sale of your business is maximally successful. Thinking about selling your fire, burglar or security alarm company? Wondering if hiring a broker is right for you? Read on to learn more about how an alarm company broker can benefit you and your company as you approach and execute a sale. How Can a Broker Help Me Sell My Alarm Company Successfully? Many businesses can be valued based on the EBITDA model, but alarm businesses are different. Valuing an alarm company based on the EBITDA model may actually diminish the value of the company – and as a result, the profit generated by the sale. Knowledgeable brokers understand that RMR is an important factor in determining how much an alarm company is worth and will help you to accurately determine how much your alarm business is worth. Brokers work with both buyers and sellers, helping to unite those looking to buy security alarm companies with those looking to sell their alarm businesses. As a result, brokers have access to numerous interested buyers and can quickly pair you with a qualified buyer that will pay top dollar for your company. Because they have an understanding of the industry and specialized knowledge about mergers and acquisitions related to security alarm companies, having an alarm company broker to represent you during the sale of your company is incredibly beneficial. From negotiating favorable terms of sale to setting up buckets for attrition and securing monies for the future performance of your company even after it has changed owners, alarm company brokers have the negotiating power that can help you sell your company successfully. How Do I Find A Qualified Alarm Company Broker? Selecting a trustworthy, experienced alarm company broker is imperative if you hope to sell your alarm company quickly and for a maximum profit. 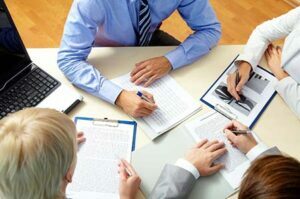 While the process of selecting the right broker for you and your company may be time consuming, it is imperative to achieving a successful sale. Spend some time researching alarm company brokers, then choose a couple of brokers that seem qualified and reach out to them. Be sure to ask each broker smart questions to glean the information you need to determine which suits you and your business best. Compare your options mindfully, analyzing the pros and cons of each broker you are considering. Be sure you feel completely comfortable with the broker you select, and you are entirely confident that he or she will represent you and your company with your best interests in mind. 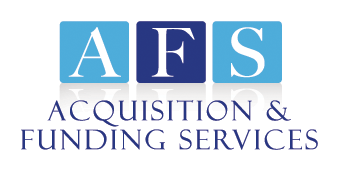 Acquisition & Funding Services is a reliable, trustworthy alarm company broker with extensive experience in brokering highly profitable alarm company sales and transactions. Working with company owner Rory Russell, companies large and small have achieved successful, profitable sales – with clients in many cases getting more for their companies than they had expected. As the former owner of one of the most successful alarm security companies in the Northeast and more than 18 years experience as an alarm company broker, Rory has a complete understanding of the security alarm industry and possesses valuable insight and advice that will benefit alarm company owners. He has handled approximately $250 million in mergers, acquisitions and financing of security and alarm companies and will work with you to sell your company for the highest price possible. Contact Rory Russell today at (800) 354-3863 (his personal cell) for a no obligation alarm business valuation and more information about how AFS can help you sell your alarm business for maximum profit.